After years of speculation, Disney has reportedly hired James Mangold to write and direct a "Star Wars" film based on Boba Fett. 1. Who is Boba Fett? Boba Fett is first introduced in an animated short on the "Star Wars Holiday Special". He made his live-action debut in "Star Wars: The Empire Strikes Back". The Mandalorian bounty hunter only has a few lines and mere minutes of screentime before comically belly-flopping into the mouth of a ravenous creature named a Sarlacc. But it was enough to give him a cult following. 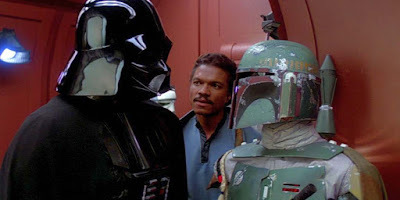 Originally played by Jeremy Bulloch, Boba Fett wears a helmet that covered his face. But his body language spoke for him. Bulloch based his portrayal on Clint Eastwood's simmering performance as the "Man with No Name" in "A Fistful of Dollars". 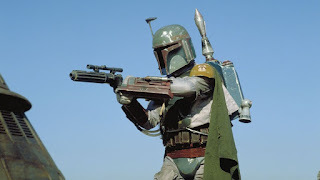 Boba Fett looked like he was always ready to shoot by cradling his gun in his arm. "He's slow; he doesn't have to move very fast at all, but when he does, it's quick and it's over -- no questions asked," Bulloch told The 11th Hour. "And you can easily imagine him smoking a cigar underneath the helmet, unhealthy as it may be, just standing by Jabba the Hutt puffing away, very cool. That's what I found with Boba Fett: the least I do, the better. He stands in a certain way. He cradles his gun -- he loves it. And he's always ready. He has amazing peripheral vision." Later George Lucas added several scenes of Boba Fett to the original films to round out his role. 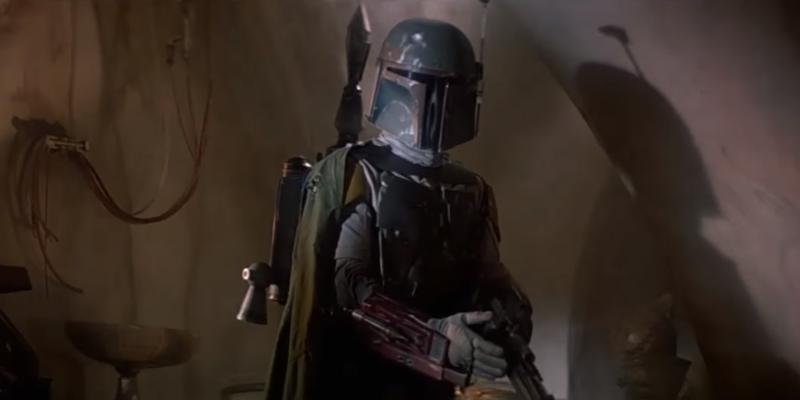 Boba Fett also appeared in the 2002 prequel film "Star Wars: Episode II – Attack of the Clones". The movie filled out his back-story as a clone of the bounty hunter Jango Fett (Temuera Morrison). He later appeared in the "Clone Wars" animated series as a boy. After his father died he vowed vengeance against Mace Windu and the Jedi. Over the years numerous comic books, novels, and video games have tried to expand on the history of the character even implying that he survived his fall into the Sarlacc Pit. All of those stories are no considered outside of the official "Star Wars" universe. 2. How Did Disney Get Started on the Boba Fett Movie? After purchasing the "Star Wars" franchise from Lucasfilm they announced plans to make a new trilogy and a series of stand-alone films based on characters and groups from the franchise. In 2013 Entertainment Weekly reported that Disney and Lucasfilm were working on a standalone movie around Han Solo and Boba Fett. The Han Solo movie came out today and is called "Solo: A Star Wars Story". ET reported the Boba Fett movie is supposed to take place "either between A New Hope and The Empire Strikes Back, or between Empire and Jedi" before he died. Josh Trank was hired to direct the movie. But after the horrifying stories of Josh Trank's behind-the-scenes behavior on the set of the "Fantastic Four" reboot, he was fired in 2016. Disney still had plans for the film though and made plans to tell an updated origin story of the man with the dented helmet. Update: The Mary Sue pointed out that in the prequels they revealed Boba Fett is a clone of the Māori actor Temuera Morrison. They even replaced Boba Fett's voice using Morrison in the Special Editions. 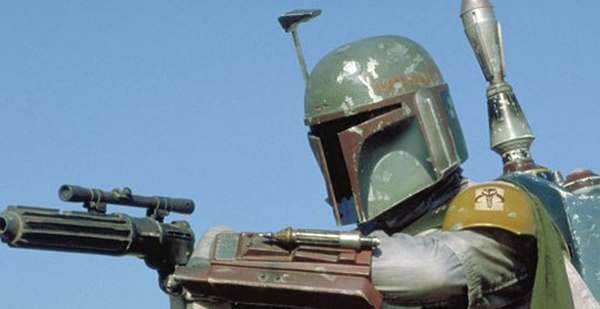 This means the "Boba Fett" movie would be the first "Star Wars" movie with a man of color as the lead. 3. What are the "Star Wars" Standalone Films? The news comes as Disney and Lucasfilm are preparing for the release of the latest Star Wars stand-alone film, "Solo: A Star Wars Story". The first stand-alone film "Rogue One: A Star Wars Story" focused on a team so this will be the first movie focused on a single character. Disney refers to as the standalone movies as "Star Wars Anthology" films. The studio is also working on an Obi-Wan Kenobi spin-off and Stephen Daldry is rumored to be in negotiations to co-write and direct the project. In addition to those characters, several other characters like Jedi master Yoda and even Jabba the Hutt have been discussed. Nothing official has been announced though. Today, on May 25, 2018, The Hollywood Reporter announced that James Mangold had been signed on to write and direct the stand-alone Boba Fett film. 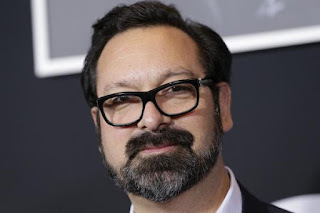 4. Who is James Mangold? James Mangold, 54, is a director best known for films like Girl, Interrupted (1999), Walk the Line (2005), and 3:10 to Yuma (2007). But what really gave him "geek cred" was his work on the Wolverine movies The Wolverine (2013) and Logan (2017). He co-wrote and directed Logan and it earned him a nomination for the Academy Award for Best Adapted Screenplay. The scuttlebutt is that Simon Kinberg, the writer-producer behind the X-Men franchise was working on the Boba Fett movie for Disney. We don't know where that stands, but it's possible he's still involved and will co-write with his old writing partner from Logan. The news comes as Disney and Lucasfilm are preparing for the release of the latest Star Wars stand-alone film, Solo: A Star Wars Story. Solo, which opens Friday, is the second movie to be spun from the main Star Wars line — Rogue One: A Star Wars Story was the first — but it is the first to focus on a particular character. 5. What Will the Boba Fett Movie Be Called? The title of the Boba Fett movie hasn't been announced but there's a pattern already established. The two movies have featured the name of the team or character and the words "A Star Wars Story" at the end. So presumably the movie will be called "Boba Fett: A Star Wars Story", "Fett: A Star Wars Story" or "Boba: A Star Wars Story". Frankly the second two sound a little silly but "Bounty Hunter: A Star Wars Story" has a nice ring to it. What do you think of the Boba Fett solo movie?